We are able to offer you a variety of options for your wedding chocolates. 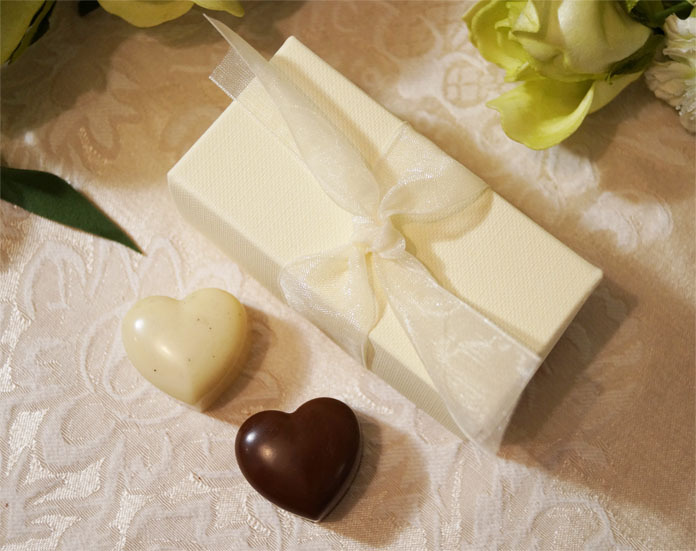 You can choose from a wide range of wedding favours, with boxes in colours to complement your wedding scheme, filled with the chocolates of your choice. Alternatively, we can supply a bespoke selection of loose chocolates for use in table centre pieces, or as an addition to your catering. We can also bring the full chocolatier experience to your special day, with your very own chocolate counter, filled with the chocolates of your choice. Please email us at info@cocoafeliz.com for more information.